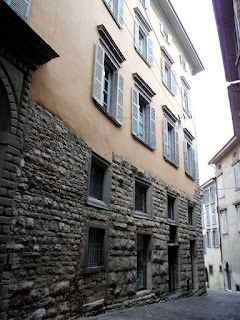 An unassuming old palace in Via Donizetti in the Città Alta used to house Bergamo’s Mint. 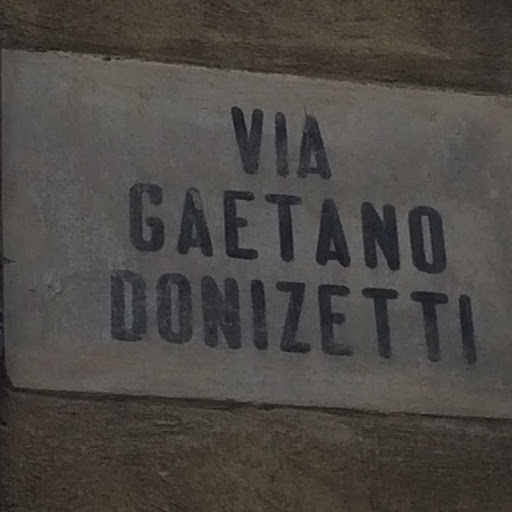 Palazzo Pachiani Rivola, at one time known as Palazzo Gromo dei Rivola, is at number 18 in the beautiful street named after the opera composer, Gaetano Donizetti. It has particularly strong walls and parts of it date back to the 13th century. 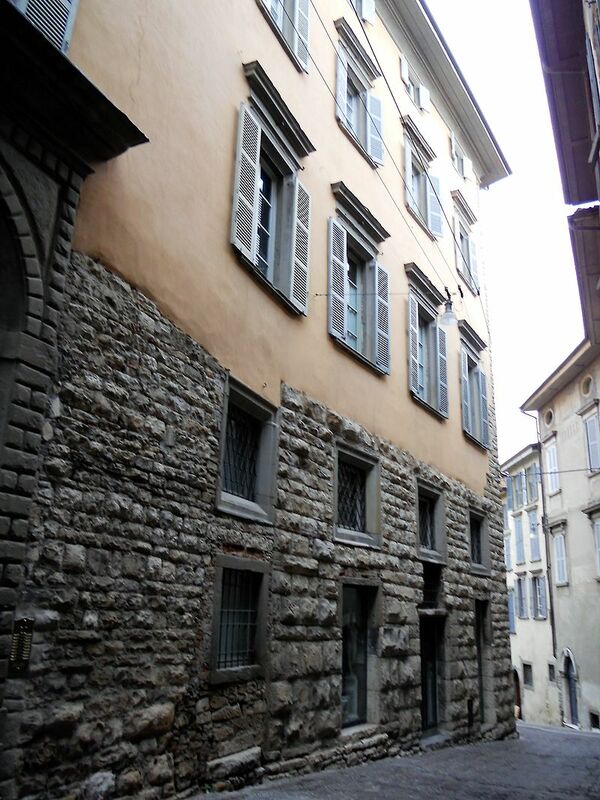 During what is known as the communal period, between the 11th and 14th centuries, when the citizens of Bergamo ruled themselves, the Mint of Bergamo, la zecca, was based in the palace. The family who owned Palazzo Pachiani Rivola at that time, the Belfante di Rivola family, were believed to have received a good rent for housing the Mint. The Rivola were one of the oldest and most powerful families in Bergamo . They were Guelphs and were involved in continual battles with the Suardi family, who were Ghibellines. The only access to the house was along a small path named Gromo dei Rivola. This made the house so secure that the gold and silver from nearby mines were kept there after being brought to the city from the valleys. It is known that coins were minted in the palace by 1236, if not earlier. A plaque on the wall of Palazzo Pachiani Rivola states that silver money was made on behalf of the Rivola family in the palace between 1236 and 1302. 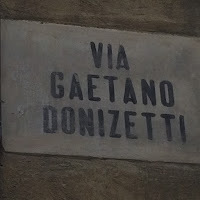 Via Donizetti leads from Piazza Mercato delle Scarpe to Piazza Giuliani.